I (Jeremy) original wrote a blog called “My Personal Experience Healing Back Pain” on a different site just over 4 years ago and only a couple of months after I experienced a somewhat miraculous healing experience with my problematic lower back. I am happy to report that my results have remained consistent for over four years and I am celebrating an anniversary of sorts. 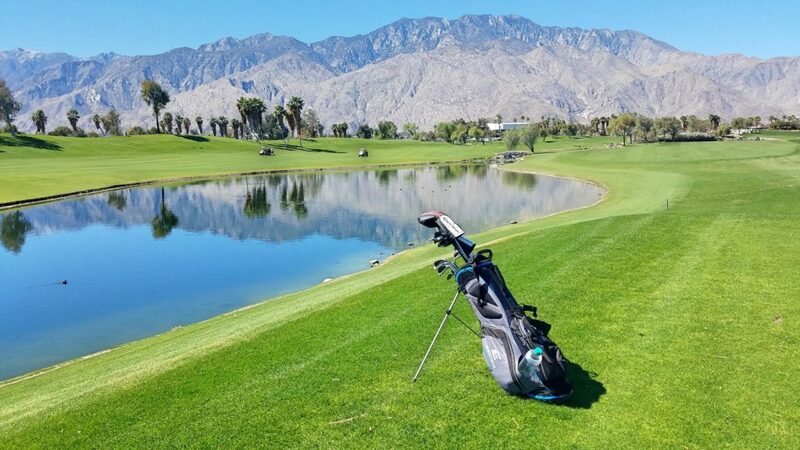 I decided this was also the perfect excuse to justify playing 18 holes of golf at my favorite course in Palm Springs on an otherwise random Monday morning. Like I usually do, I decided to carry my bag on my back today even though a riding cart was included in the price and even though I have one of those push carts that I left at home and even though I did a 3.5 hour mountain hike yesterday. Considering where I was with my back just 5 years ago, I will never take for granted a completely pain free walk around a beautiful course like this or any of the other ones I have been playing for the last four years. I felt a sense of gratitude with every single step I took. With that said, it also saddens me to see how few others are celebrating this type of anniversary these days. I also realize that writing a travel blog about chronic pain and mind body medicine may not be right up the alley of a typical reader of this blog. But, if even one person reads this, and it leads them out of a lifetime chronic pain it is worth losing any readers that don’t want to hear it but strangely decide to read it anyway. I battled various forms and degrees of chronic pain for years. I have been formally diagnosed with Degenerative Disc Disease in my spine, pinched nerves, plantar fasciitis in my foot, a displaced bone segment in my shoulder from a broken bone that did not heal correctly and that rubs on other bone/nerves, a displaced bone segment in my foot that didn’t heal correctly and that rubs against other bone/nerves, and what I was told was significant neck damage due to a head-on car accident. I was told in no uncertain terms that my conditions were not curable without risky surgery, but that by working the rest of my life with physical therapy, strengthening and treatment, I could at least manage them to some degree. I spent the better part of a year working with a chiropractor, strengthening my core, stretching my muscles, changing my office ergonomics and getting regular treatments and yet my condition was only deteriorating. Flash forward a few years and I discovered the work of Dr. John E Sarno and I read the book Healing Back Pain, The Mind Body Connection. Within about 3-6 months I was able to eliminate every one of these painful symptoms from the most minor tendon stiffness to the most debilitating back spasms. I have remained pain-free for a period of over four years. The only thing I did was read and learn. Yes, you heard me correctly and no, I am not selling you anything. What I learned was that my pain was not being caused by the physical condition that I and my doctor were associating it with. What me, and a great majority of others, suffering chronic and even severe pain are experiencing is oxygen deprivation to the muscles and tendons surrounding the perceived injury. I understand that my personal experience and results are completely anecdotal, but I can also assure you that they are far from uncommon. If you are interested in hearing my story read on. 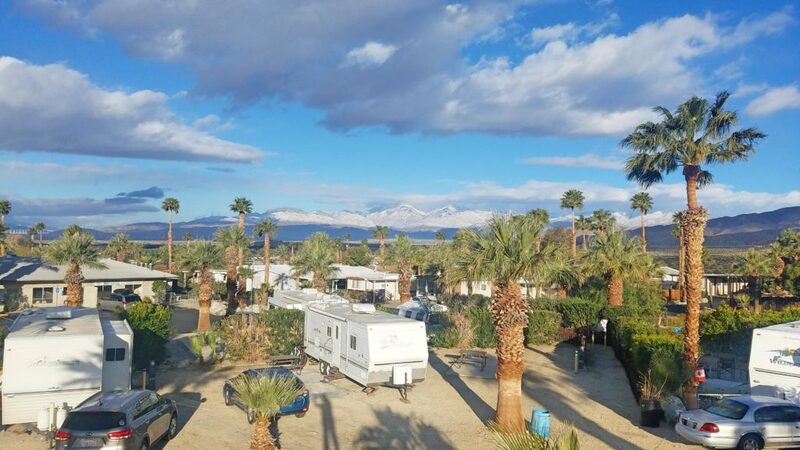 If you are looking for RV info, or if you are starting to get angry about the basic premise, or if my personal experience is threatening to your livelihood, please click elsewhere. I am sure you can find a great blog about how to clean an RV black tank sensor somewhere but not in today’s blog. Ours hasn’t worked for 4 years so I got nothing for you on that subject. It is no secret that one of our favorite travel activities is golf. Along with yelping brew pubs, one of the first things I do at any new location is Google what golf course are around. But that is only when the destination was not planned based on the golf course I wanted to play. I (Jeremy) probably don’t actually play any more golf than the average weekend hacker but I have likely played more different course than most. Playing 70 different courses in 18 different states most only once, is not a good way to pad your handicap but it is a big part of what I enjoy none the less. This is something I plan to continue and even increase if possible. Robin joins me quite a bit and I have played quite a few times with friends and family on the road but much of the time I am a solo golfer and I don’t mind. Its a great way to clear your head, get some exercise and fresh air and a great way to just be able to just shut up and enjoy the present moment for a while. The map above shows all of the courses that I have been lucky enough to hack up while traveling full time in the RV. This doesn’t even include the Denver courses I have played during summers at our cabin. 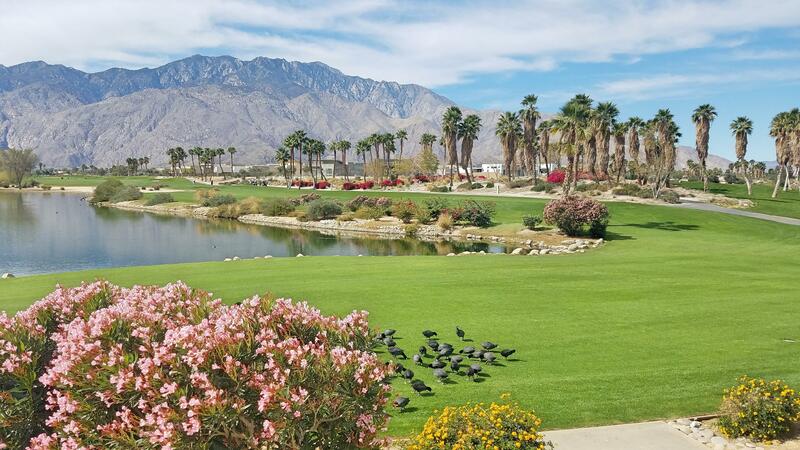 From Northeastern goat tracks to pristine course in Palm Springs, I have played, and generally loved them all. 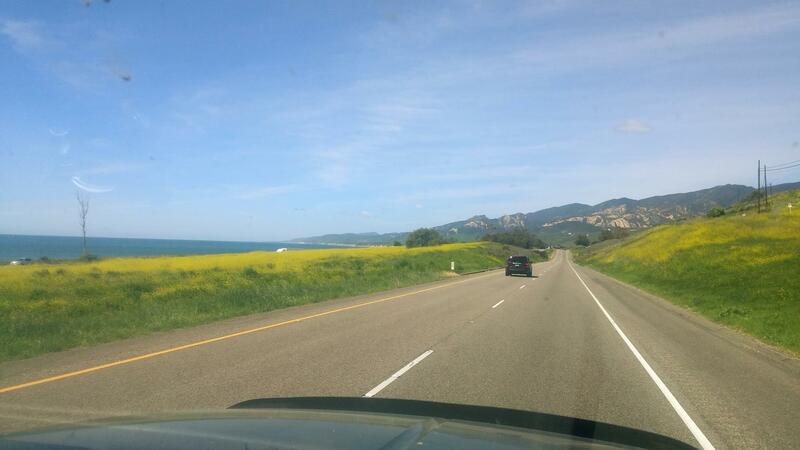 Being a full time RVer is a great way for a person of modest means to have this experience. We are currently set up enjoying two free nights of full hook up parking at another RV golf club location in New Mexico and are looking forward to more golf travel in the following weeks and months. Who knows, maybe this blog will lead to a company that is looking to hire someone to travel and review golf courses for a salary? Seriously though, I could work out a heck of deal for someone. Our month at the spa in Desert Hot Springs was up and I (Jeremy) had a golf vacation with family in Georgia coming up, but we already decided we were not going to take the RV all they way from our current location on the West Coast just for that. I booked a flight a while ago for the golf trip selecting the San Francisco airport because of frequent flyer flight ticket availability and because it was near where my brother and his family live. We decided that this was maybe a good place to leave Robin and the family of pets for a week while I go on a guy’s vacation with my brother who would also be leaving his wife and kids for the trip.